Our simple process allows for quick medical payments anywhere the internet is available. 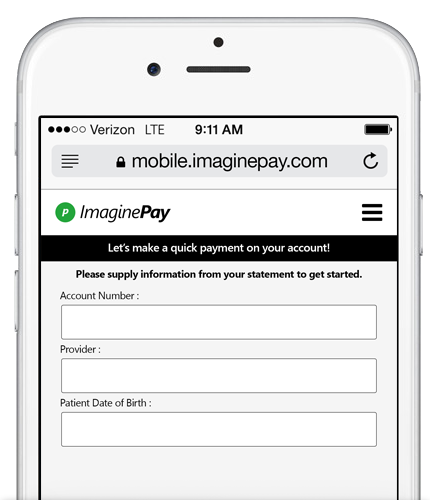 Designed with time-of-service in mind, ImaginePay makes payment transactions easy and convenient for both provider and patient. Patients pay their medical bills in 5 simple steps: Providing basic information to retrieve a provider balance, selecting the amount they wish to pay, how they would like to pay, entering their billing address, and reviewing their selections to confirm payments details. That’s it! 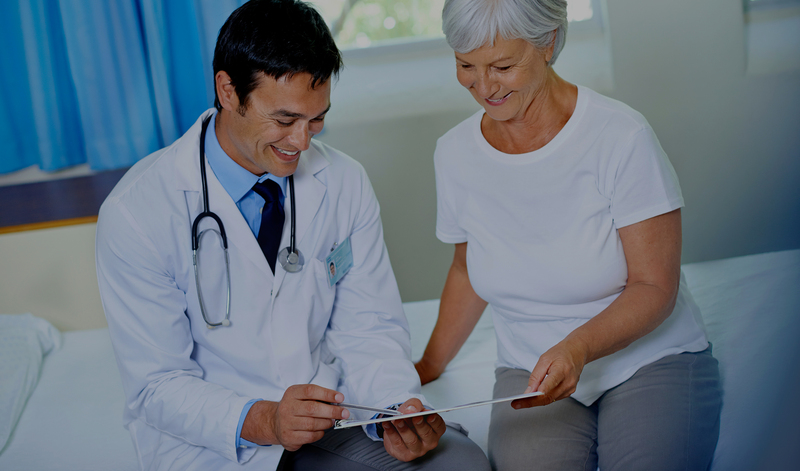 ImaginePay is a HIPAA and PCI-certified compliant platform; meaning that your patients’ personal and payment method information are kept securely on file. READY TO MAKE A QUICK PAYMENT? ImaginePay gives you the flexibility to make payments to your providers from anywhere you chose. Paying your bills just got simple! Making a payment is simple. All you need is your provider ID from your statement, your personal information and a payment method.